Telescope is brand new, never used, box was opened for photos! The top right side plastic has a ding from previous shipping, check photos! 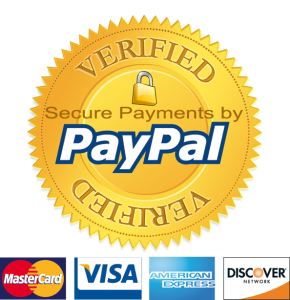 Customers please note: You do not have to have a PayPal account to pay for an item. When eBay directs you to the PayPal payment page, you will be able to insert only the credit card information. Indiana residents are required to pay 7% tax as required by state laws. Free USPS/ Fedex Ground shipping for 48 continental states. USPS shipping for Hawaii, Alaska, Puerto Rico, APO and P.O. Box address is additional, please email us for quotes. We ship most items same or next business day after receiving the payment. Please be aware that weekends are not business days. At our discretion large or expensive packages ($150.00) or over will receive signature confirmation. If this applies to you, please assure that an adult is available to sign for & accept the shipment. We ship everything professionally in our state of the art warehouse, boxed and shipped with perfection. International buyers please note: Import duties, taxes and charges are not included in the item price or shipping charges. These charges are the buyers responsibility. Please check with your country's customs office to determine what these additional costs will be prior to bidding/ buying. If you have any problems with your order, please take the time to email us before leaving a LOW STAR RATING or OPENING A CASE/ CLAIM! We have a 14 day return policy. We refund all shipping cost on defective/ incorrect items. 1. Changed your mind and don't want the item anymore? No problem. You have 14 business days from receipt to inform us of the return request and 5 days to ship it back to us. 15% Restocking fee applies. 2. Defective/ Dead items will be fully refunded or replaced after matching the serial number with the one in our records. 3. Non defective items must be never used or unopened for a refund. 4. Order/ bid cancellation: We can cancel your order only if you contact us within 1 hour after your purchase/ bid. 5. Refunds for returns of non-defective items with FREE SHIPPING, will be LESS because of seller's shipping expense. You will be responsible for shipping the unit back and the shipping that was PAID to ship the unit to you.